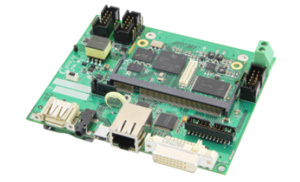 The Open Multimedia Application Platform (OMAP) from Texas Instruments is a embedded processor initially designed to support basic wireless voice and Internet services. TI OMAP CPUs contain both an applications processor (typically ARM based) and a digital signal processor (DSP). The OMAP-L1x processors support applications that are less consumer-based, such as medical devices, software defined radios, and defense systems. As part of its MityDSP family of System on Modules (SOMs), Critical Link provides the MityDSP-L138 embedded CPU engine. 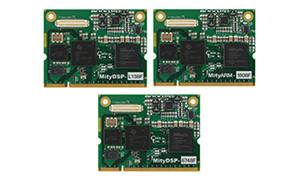 The MityDSP-L138 combines a TI ARM9 processor with a TI C674x DSP in the OMAP CPU and an optional Xilinx FPGA. 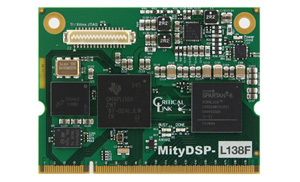 The MityDSP-L138 allows system developers to dedicate DSP processing and applications software to operate on the OMAP, while low level control and data acquisition logic to run in an FPGA.